A special thanks to all of our Partners. Our members and our team appreciate everything you do for us and the community. Keep up the tremendous work! The University of Nevada, Las Vegas (UNLV) is an American public research university located in the Las Vegas suburb of Paradise, Nevada. The 332-acre campus is located approximately 1.6-mile (2.6 km) east of the Las Vegas Strip. The university includes the Shadow Lane Campus, located just east of the University Medical Center of Southern Nevada, which houses the School of Dental Medicine— the only dental school in the state of Nevada. In addition, UNLV’s law school, the William S. Boyd School of Law, is also the only law school in the state. Three Square is Southern Nevada’s only food bank providing food assistance to the residents of Lincoln, Nye, Esmeralda and Clark Counties. We work with a service network of approximately 1,300 community partners , which includes non-profit and faith-based organizations, schools, and after school and feeding sites – in our community to reach struggling individuals and families at risk of hunger. In 2016, we distributed more than 40 million pounds of food, the equivalent of more than 33 million meals through our community partners. The College of Southern Nevada (CSN) is primarily a two-year college in Clark County, Nevada, with four four-year degrees in Dental Hygiene, Medical Lab Scientist, Respiratory Sciences, and Fire & Emergency Services Admin. The school is the largest public higher education institution in Nevada. It is part of the Nevada System of Higher Education. Founded in 1971 as Clark County Community College, the school became Community College of Southern Nevada in 1991. On March 16, 2007, the Board of Regents of the Nevada System of Higher Education voted to change the name of the school to its current name College of Southern Nevada on July 1, 2007. College of Southern Nevada has three main campuses in the Las Vegas Valley: the Charleston Campus, North Las Vegas Campus and Henderson Campus, and a campus in Pahrump. There are also centers located in Moapa Valley, Summerlin, and Mesquite, as well as Nellis Air Force Base and Green Valley. HELP of Southern Nevada was started by the Junior league of Las Vegas and was incorporated in 1970. It is a 501 (c) (3) organization that has grown exponentially since the inception, from an organization that served fewer than three hundred people a year, to one that will serve over 100,000 unduplicated people in a fiscal year. 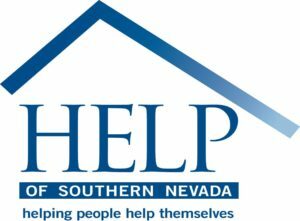 HELP of Southern Nevada responds to the changing needs of our growing community. We strategically expand our programs and refine our service delivery systems to better serve the poor, the homeless and those in crises who come to us as a place of last resort. We pride ourselves on being 100% local and 100% accountable and engaging other organizations through collaboration to achieve maximum impact with the services we provide and the clients we serve. 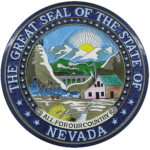 The Nevada Department of Health and Human Services (DHHS) promotes the health and well-being of its residents through the delivery or facilitation of a multitude of essential services to ensure families are strengthened, public health is protected, and individuals achieve their highest level of self-sufficiency. The Department is the largest in state government, comprised of five Divisions along with additional programs and offices overseen by the DHHS’ Director’s Office. The Department’s Director, Richard Whitley, was appointed by Governor Brian Sandoval and manages nearly one-third of the state’s budget. 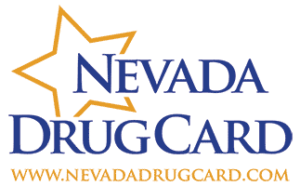 As a resident of Nevada, you and your family have access to a statewide Prescription Assistance Program (PAP). Create and print your FREEdiscount prescription drug card coupon below. This pharmacy coupon card will provide you with Rx medication savings of up to 75% at more than 68,000 pharmacies across the country including Kmart, VONS, CVS/pharmacy, Raley’s, Smith’s Food and Drug Stores, Safeway, Save Mart, Walgreens, Walmart, and many more. You can create as many coupons as you need. We encourage you to create and send to friends and family members via one of the many available options. This Coupon/Card is pre-activated and can be used immediately! 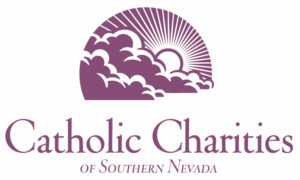 For more than 75 years, the mission of Catholic Charities of Southern Nevada has been to serve those in need – the most vulnerable, regardless of race, religion or creed. Today, through the support and generosity of foundations, grants, organizations and individual donors, Catholic Charities continues to operate programs, often with shoestring budgets, to meet the incredible needs of so many, in so many areas. These five categories – Family Services, Food Services, Senior Services, Immigration and Refugee Services, and Homeless and Housing Services – are providing a wide range of human services and support, from infants to seniors. Programs such as the Emergency Shelter, Meals on Wheels Senior Nutrition and Adoption Services are lifelines for those in need. A community resource that offers help and hope and restores a sense of dignity as it strives to meet the diverse needs of the more than 100,000 clients we serve every year. Kayenta Therapy is the largest private practice counseling center in Nevada, located in beautiful Summerlin. The therapists are caring professionals providing innovative, thoughtful and compassionate counseling to their clients. We also offer educational programs and seminars for the community including Nevada State approved COPE: A Seminar for Separating Parents (classes in both English and Spanish).